At the Best Western Tunica Resort we pledge to accommodate our guests' stay with great southern hospitality and excellent service. All 79 of our interior corridor rooms include amenities such as microwaves, refrigerators, single serve coffee makers, irons and ironing boards. Enjoy an early morning complimentary full hot breakfast located in our spacious and comfortable lobby. Take care of all your business needs in our business services area with complimentary high-speed internet. We invite you to relax and enjoy our outdoor pool. We are centrally located just minutes away from many area attractions including all eight fun and exciting Tunica casinos, The Tunica RiverPark & Museum, Tunica National Golf Course and Historic downtown Tunica. We are also located close to Memphis area attractions and the Memphis International Airport. We are easily found just off 61 Highway on the same strip as Sam's Town , Hollywood Resorts and The Fitz Casinos and Hotels. At the Best Western Tunica Resort, we strive to go above and beyond the competition exemplifying consistency, quality, affordable prices and the highest level of customer service. We want each guest's stay to be an exceptional one. Our friendly staff will guarantee that your stay will be pleasant and relaxing. We look forward to the opportunity to serve you and build a welcoming relationship for your future stays. Enjoy your stay. From: Highway 61. Take Highway 304. 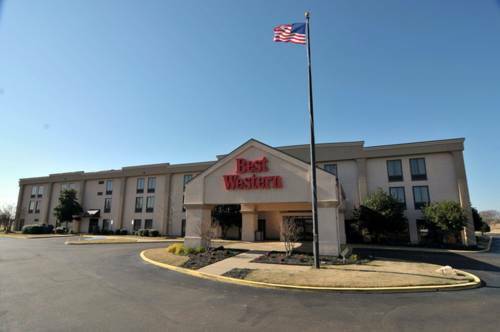 The Best Western Tunica Resort is located 20 miles south of Memphis at the intersection of Highway 304 and Highway 61. From: Interstate 55. Take Highway 304, The Best Western Tunica Resort is located 22 miles west of Hernando.